Friendly Cosmetic Dentist in Fresh Meadows NY with Alan L. Rosenberg, D.D.S - We also provide teeth whitening and dental implants. If you have dark colored teeth, cracks or other unsightly tooth problems, Fresh Meadows cosmetic dentistry by Alan Rosenberg, D.D.S. can help. Ask us about veneers and teeth whitening and how we can maximize your dental insurance. 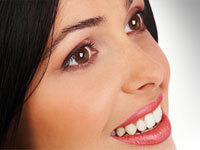 We also provide teeth whitening and dental implants. For quality Fresh Meadows cosmetic dentistry, call Alan L. Rosenberg, D.D.S at (718) 454-6862, or use the easy form on our website. Let's set up your appointment. We're ready to create your stunning new smile!